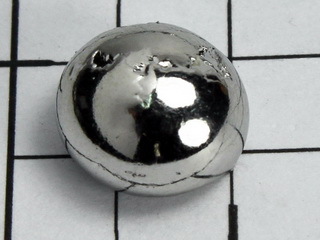 Ruthenium was initially discovered in 1808 by J.A. 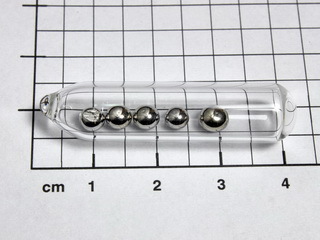 Sniadecki at the University of Vilno, Poland and then again by G.W. 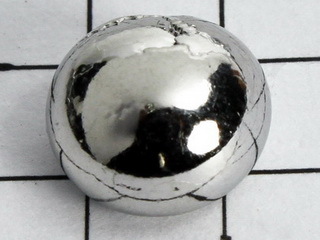 Osnann in 1828 at the University of Tartu, Russia. 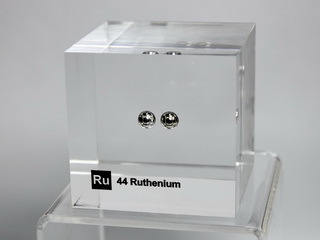 Ruthenium is a rare member of the platinum group of metals (abundance 0.001 ppm in the earth's crust). 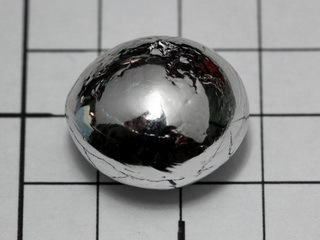 It is a lustrous, silvery colored metal which is unaffected by air, water and acids, but is soluble in fused alkalis. 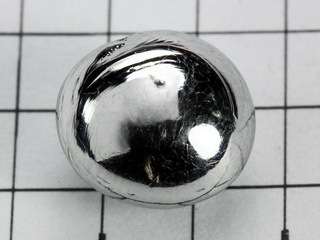 Extraction of the metal is achieved by several techniques; for example, extraction of the mixed platinum group metals by dissolution in aqua regia, followed by treatment of the various soluble and insoluble fractions. 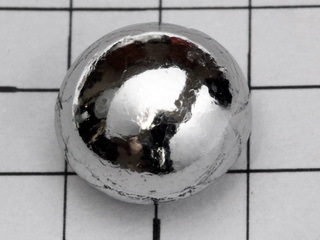 Applications of the metal are limited; as a pure metal, ruthenium is extremely hard and brittle and, consequently, difficult to machine. 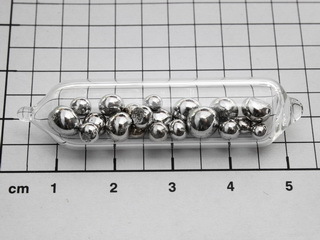 It is relatively unreactive, and is used as an alloying element with platinum and palladium to produce alloys which have improved wear resistance, and with titanium to improve the material's corrosion resistance. 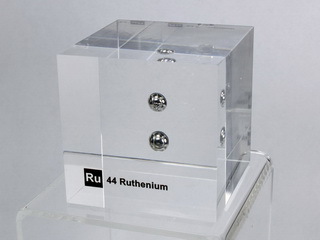 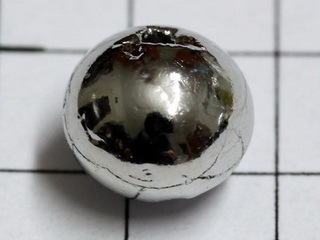 In all cases, the ruthenium addition has to be less than 15%, otherwise the resultant alloy is too hard to work. 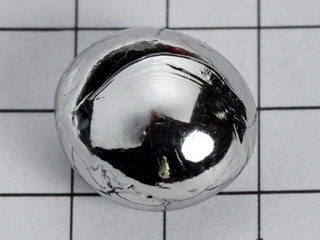 Nice Ruthenium 3+ doped glass bead NEW!